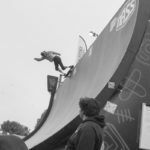 As usual we headed to the West Country for Nass 2016 with a strong crew of riders to witness the combination of music, skateboarding and mashed up kids. Unfortunately, John Howlett rolled his ankle on the Friday which meant he missed out on the comp. 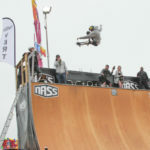 Kris Vile Smashed it on the pro-street course all weekend qualifying high but ending up in a still respectable 9th largely due to a heavy partying schedule “It’s fine, I skate better with a hangover”. 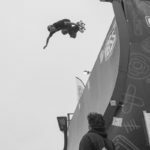 Dave Allen and Oakley Liddell tore the vert ramp apart and newly conscripted team rider, Jimmy Wilkins made it into the finals qualifying in second. 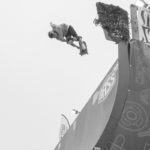 Unfortunately the vert finals were held on Sunday morning so he didn’t bother getting up! Skateboarders eh. I thought this was a professional operation lads? 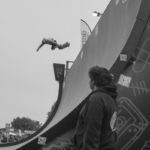 As usual our filmer Ben ‘Biscuits’ Wilks was on hand to capture the action and has created this epic Narstie Nass edit for your viewing pleasure. If you’re not a fan of terrible R Kelly cover versions or have no sense of humour you may just want to watch this with the sound off.